Grab your bingo dauber and join us Wednesdays through Sundays for bingo! Click here to view current bingo specials and promotions. Expand your casino horizons with even more chances to win at Goldsby Gaming Center in Norman, Oklahoma, just off I-35 at Exit 106. Take a short jaunt over to West Sycamore Road and the casino is in your sights. Open 24 hours a day, seven days a week, all the most popular games are here just waiting for you. Think of it, 20,000 square feet of casino floor space with 361 electronic games, including progressive jackpots, more promotions and even higher sweepstakes being offered than ever before. We have lots of other amenities too! Grab a snack or enjoy some great food from the Goldsby Grill or visit the new upstairs bar with large-screen TVs. If bingo is your pleasure, then pull up a chair in our 300-seat bingo hall. 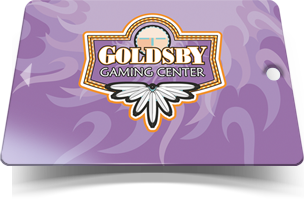 No matter how you do it, winning is always fun at the Goldsby Gaming Center, a Chickasaw Country Destination.